We provide flexible marketing options for sellers so you can choose what is right for you - no pressure! Please read what some of our valued sellers in Paphos have said about us on our Sellers Testimonial's page. We have qualified and serious clients, many of whom are cash buyers, that have not found the perfect home. 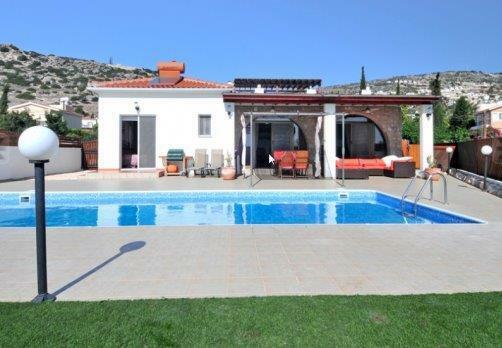 They have seen many properties in the Cyprus market but have not found the one. See the list of what our buyer's are looking for on our Property Wanted to Purchase page. These are serious buyers and we need your help to meet their requirements! We have a dynamic marketing strategy starting with our own responsive, mobile-friendly and up-to-date website that ranks well in popular search engines such as Google and Yahoo. We have a strong social media presence and overall strong internet presence which is where the majority of all buyers start their home search. This site along with our other domains are one of our strengths. Our placement on Rightmove and in popular, local magazines such as Paphos Post, our Premium Membership on popular forums, inclusion in directories and other print ads contribute to our success. Additionally, we maintain strong relationships with reputable, licensed estate agents in Cyprus and all over world allowing us to take advantage of the unique buyers market in Cyprus from young families to retirees to investors. If you are thinking about putting your home on the market call or email us to discuss our comprehensive marketing strategy. Also take the time to read our tips on Home Staging which helps you as a seller know what can help make or break a sale (in some cases). The very important aspect of Getting Ready for Home Showings is just as crucial in making a good first impression. Finally, the guides to selling your property below will assist you in answering the many questions that arise during the selling process. When you're armed with the right information, and an experienced professional, you'll be closer to reaching your goal - selling your home without stress, and for the best price. The Cyprus property market is bustling and it takes an experienced professional to sell your home efficiently and profitably. We are Licenced Estate Agents with a team of experienced property and marketing specialists that offer professional service with a personal touch! 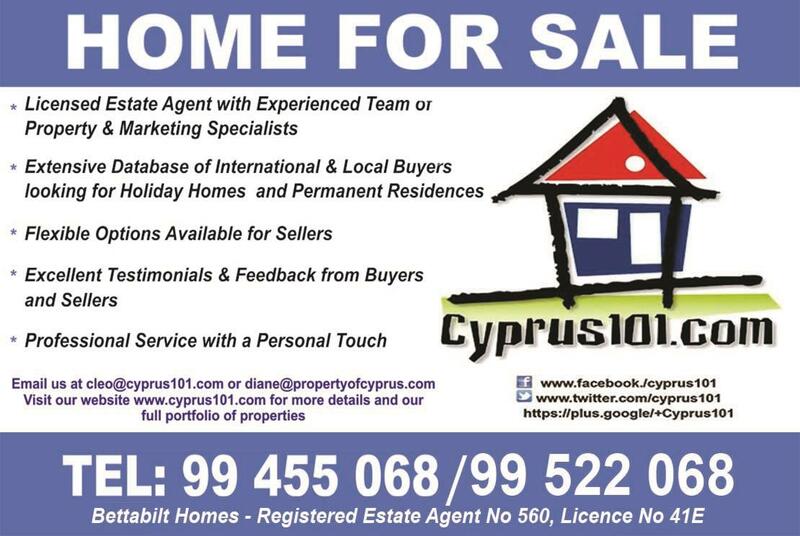 Please fill out form at bottom of this page if you have any questions about selling your property in the Paphos area. When you decide to sell, we will be your advocate, your guide, and your fierce negotiator. We will work hard to make yours a great sale.